Fado the Saddest Music in the World at the Victoria Fringe 2018. An interview. Fado the Saddest Music in the World at the Victoria Fringe 2018. An interview. You are here: Home / Arts / Fado the Saddest Music in the World at the Victoria Fringe 2018. An interview. Fado the Saddest Music in the World at the Victoria Fringe 2018. An interview. 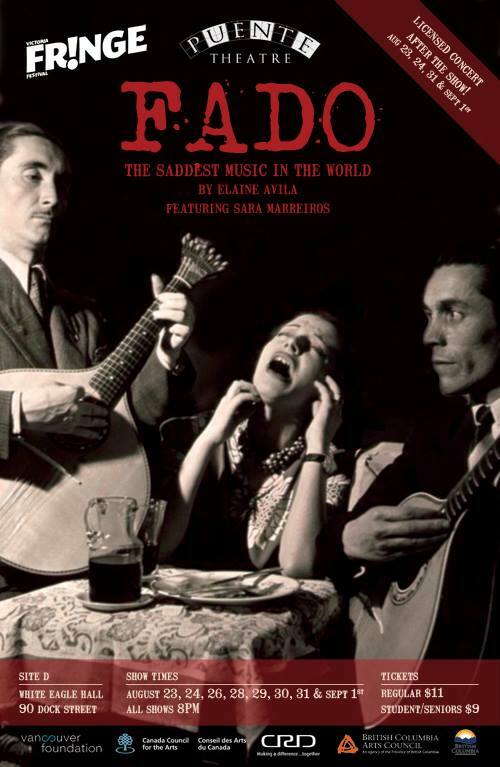 The team that brought you the 2015 Fringe hit Lieutenant Nun are back this year with the world premiere of FADO, the Saddest Music in the World. Director Mercedes Bátiz-Benét answered questions about the show. 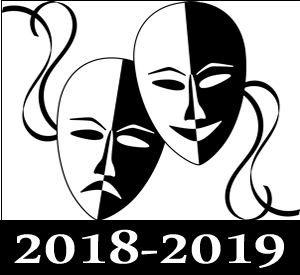 Puente Theatre has been producing work on the Fringe circuit since 2015. Last time at the Victoria Fringe? Shows you’ve presented at the Victoria Fringe? Last year we presented Gruff, a Bolshevik Musical for Two Goats and a Troll by Mercedes Bátiz-Benét, Judd Palmer & Brooke Maxwell. In 2015 we coproduced the Fringe hit Lieutenant Nun with SNAFU Dance Theatre, presented by Theatre SKAM as part of their 20th Anniversary Remix Season. 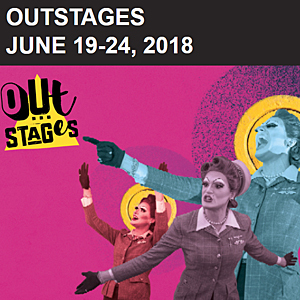 The show we’re presenting this year at the Fringe is the newest play by Elaine Ávila, the same playwright who wrote Lieutenant Nun. We haven’t been to other Fringes, but we would love to go one of these days. 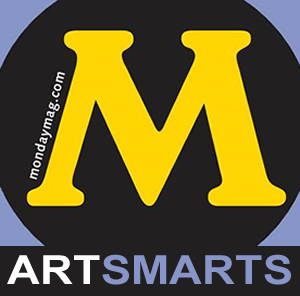 Our shows are really big and are site-specific which makes things a little more complicated, but perhaps we’ll do it in a not too distant future. Fado is a new work. In fact, it’s the World Premiere of the latest play by acclaimed Portuguese-Canadian playwright Elaine Ávila. Fado is a new show, so it doesn’t have any awards or accolades at this point. 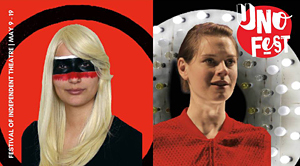 However, our two previous Fringe shows collected a few awards: Lieutenant Nun (Puente Theatre & SNAFU Dance Theatre 2015) was voted Favourite Ensemble, Favourite Drama, and Audience Favourite — Pick of the Fringe, and Best Fringe Show by Victoria Critics Choice Awards; Gruff was voted Favourite Visual Theatre/Puppetry & Favourite Family Friendly. Fado music is to Portugal what Flamenco is to Spain or the Blues is to Mississippi; it’s the music of back alley Lisbon, of thick red wine and brothels and transvestites and sailors and heartbreak and a particular variety of acute longing that the Portuguese consider to be unique to their melancholic genetic code called saudade – it’s the saddest music in the world. The playwright, Elaine Ávila, is Portuguese-Canadian; her family comes from the Azores, remote islands out in the middle of the Atlantic settled by Portugal in the middle ages; they’re almost as close to Newfoundland as they are to Lisbon, but they’re a fundamental part of the Portuguese identity, and a place that powerfully forms the people that were born and raised there. Elaine was born in the US, but it’s a peculiar fate of so many of us in the New World to feel a great disconnection from our roots, to feel like we’re missing something fundamental about what it means to be alive and part of a great chain that leads back to our ancestors – a chain that sometimes was broken intentionally, by immigrants coming to our continent who deliberately forgot their own languages, even their own names, to try to erase Old World hierarchies of class and race and history. Ironically, what our ancesstors felt they needed to do to survive and flourish here has resulted in this rootlessness that afflicts us today. Elaine went to Portugal a few years ago to write this play as a way to try to connect with her heritage. One of the big questions of the play, to me, is whether that’s even possible. It may be that culture is not something that can be collected like a souvenir; it may be that you have to grow up in it, to be steeped in it, to truly understand it; it may even be that our New World eclectic ecumenicalism is the opposite of culture, and that our ancestors are forever lost to us. The forlorn, the forsaken, the lonely, the sorrowful, the confused, the desperate, the displaced, the forgotten. Those lost at sea. Those who can’t remember their own names. Portuguese people, or anybody who immigrated, or anybody whose ancestors immigrated. Music lovers. Those who are incurably sad. Those who think are incurably sad and who want to be cured. The music is live, by Victoria’s own Queen of Fado, Sara Marreiros, and it’s absolutely breathtakingly beautiful. Plus: on certain nights (Thursday the 23rd, Friday the 24th, Friday the 31st and Saturday September 1st) the show will be followed by a live set by the Sara Marreiros band… and the venue will be licensed to boot. Catharsis like a soft spring morning after a night of hard drinking and uncontrolled weeping. But beware… it’s really really really sad. Acclaimed Portuguese-Canadian playwright Elaine Ávila’s brand new play, FADO, is a tale of love and ghosts set in the back alleys and brothels of old Lisbon. On August 23, 24, 31, and September 1st live set after the show, licensed bar! 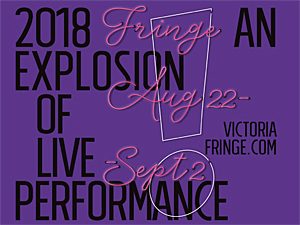 Kitt and Jane at the Victoria Fringe 2018. An interview. The Measure of Love at the Victoria Fringe 2018. An interview. Rocko and Nakota Tales from the Land at the Victoria Fringe Festival 2018. An interview.